David J. Bronczek is president and chief operating officer of FedEx Corporation. Bronczek is responsible for marketing,sales and all FedEx operating companies. He is a member of the Strategic Management Committee of FedEx Corporation, which sets the strategic direction for the $64 billion FedEx enterprise. Previously, Bronczek was president and CEO of FedEx Express, the world’s largest express transportation company. A native of Cleveland, Ohio, Bronczek graduated from Kent State University in 1976, the year he joined FedEx. He started as an hourly employee in the frontlines of the company’s pickup and delivery operations, and served as a sales representative during the company’s formative years as Federal Express. He moved into the company’s management structure in the early 1980s, rising quickly to the role of managing director for the Liberty District in Philadel phia in 1983. Bronczek moved to international operations soon after FedEx expanded its international service. In 1987 he was promoted to vice president and general manager for FedEx Canada. In March 1993 he was named senior vice president of the Europe, Middle East and Africa region (EMEA). In 1998 he was promoted to executive vice president and chief operating officer of FedEx Express, the position he held until becoming president and CEO in 2000. Bronczek has represented FedEx in a wide variety of industry and community roles in the areas of disaster relief; aviation and public safety; global trade and access; technical and higher education; and advancement of next-generation transportation infrastructure. His service to industry and community includes being named Chairman of the FAA NextGen Advisory Committee, which fosters industry collaboration on air safety, air traffic management and aviation environmental sustainability efforts. He is a current member of the International Air Transport Association (IATA) Board of Governors, and served as Chairman of IATA in 2010. 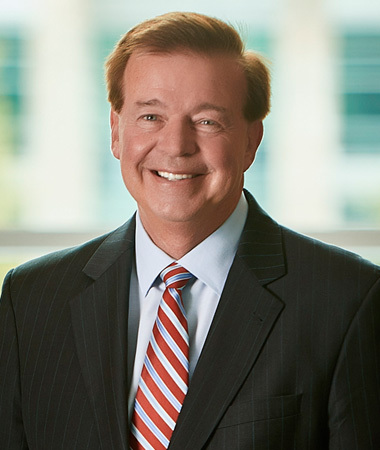 He also serves as a director of Airlines for America (formerly the Air Transport Association) and also serves on the Board of Directors for Memphis-based International Paper. Bronczek was appointed by the president of the United States to the National Infrastructure Advisory Council (NIAC) in 2009. Bronczek served on the Federal Aviation Administration’s Management Advisory Council. He has also served on the Board of Governors for the National Safe Kids Campaign, and the Smithsonian National Air and Space Museum. He is a member of the Alexis de Tocqueville Society of the United Way. Bronczek is passionate about the Memphis community and serves on the Board of Memphis Tomorrow, an association of local business leaders focused on fostering growth and prosperity in the community. He is also passionate about the cause of higher education, serving on boards at the University of Memphis and the University of North Carolina. He hasbeen an active supporter and member of the National Civil Rights Museum.